Fabio Bordi is a quintessential son of Rome. Raised in the historic center, he could not help but find himself enthralled with the history and archeology surrounding him. 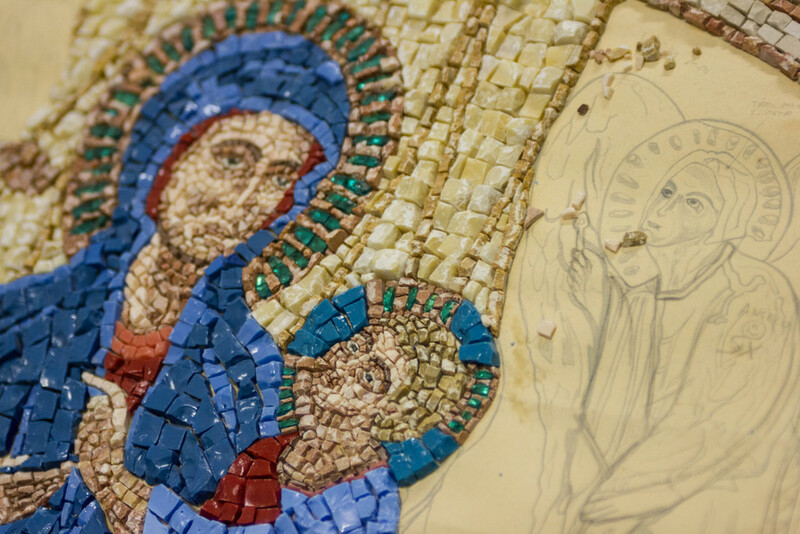 This passion led him to an apprenticeship at the workshop of Alessandro Lugari and Lorenzo Chilin, well-known masters in the techniques of creating and restoring mosaics and stone artifacts. 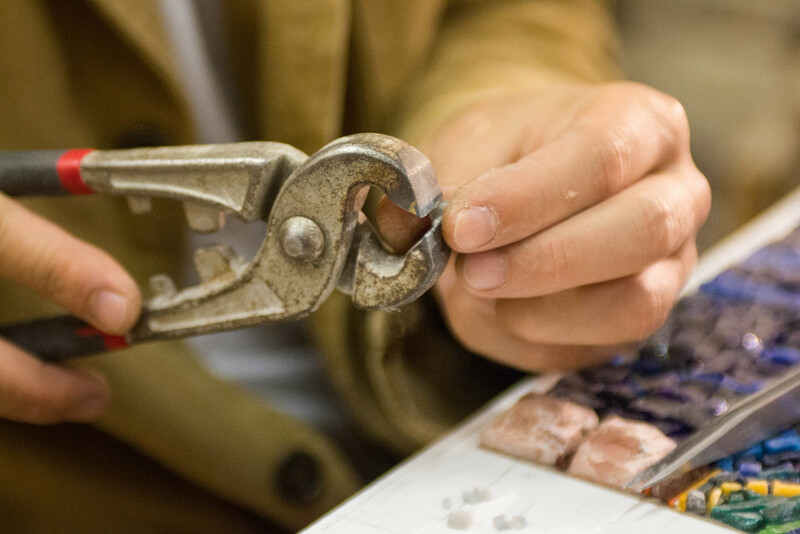 Though Fabio is now himself a master at his craft, he insists that an artisan in his profession must always maintain childlike curiosity and sense of discovery about the world, no matter how much formal study or workshop experience. 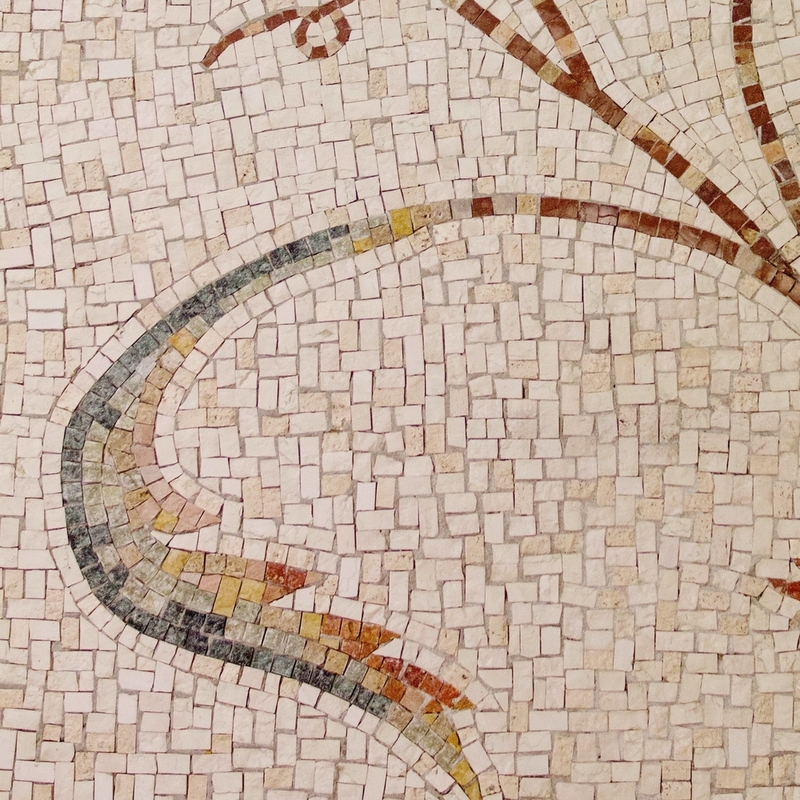 His original mosaics uphold the living tradition of mosaic art, combining fresh inspiration, historic methodology, and a clear reference the the great artisans of the past, including his idol Sosus of Pergamon. 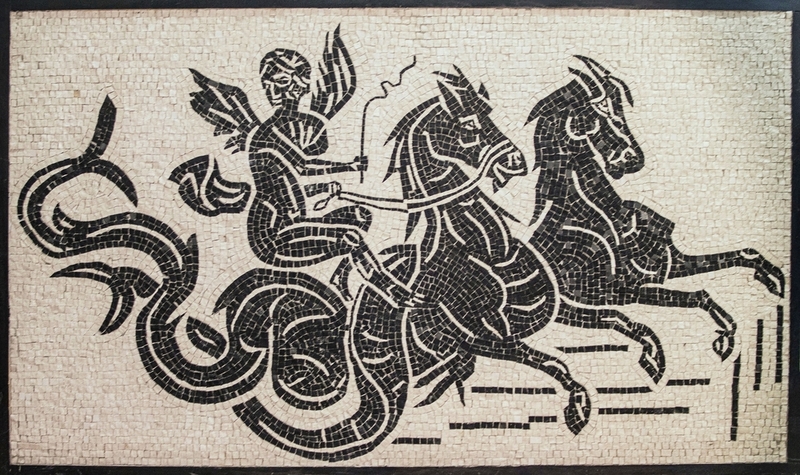 International exhibitions of his work have taken place Italy, Canada, Turkey and Macedonia. Fabio is also a gifted restorer. 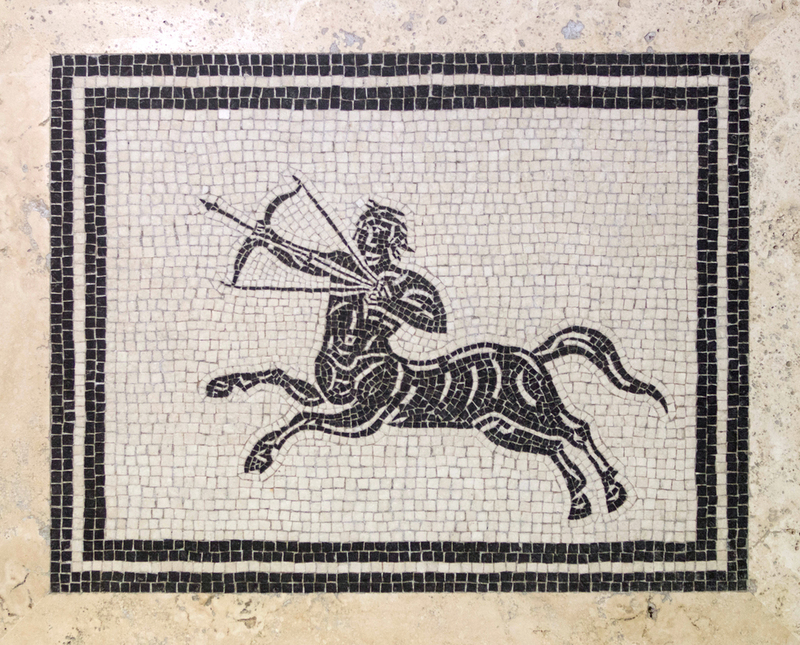 Among his most distinguished commissions include the restoration of mosaics at the National Museum of Rome Palazzo Massimo, the restoration of mosaics at the Fountain of Dolphins at Villa D'Este in Tivoli (a UNESCO World Heritage Site), and most importantly, the cleaning and restoration of some of the most precious archeological treasures in the world, the ancient mosaic pavements and stone artifacts at the Senatorial Curia of the Roman Forum. As far as specialties, Fabio has a few. 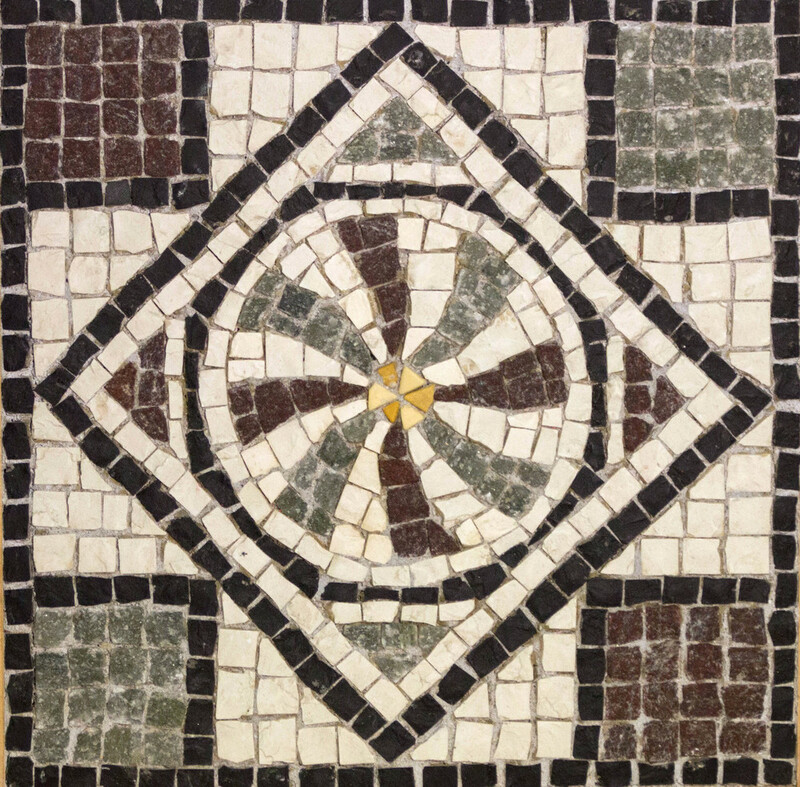 At the top of his list ranks the micromosaic (or minute mosaic), an ancient Roman tradition also popular during the Grand Tour era, in which he uses impressively small marble, semi-precious stone, or Venetian enamel tesserae to create panels, tables and jewelry. 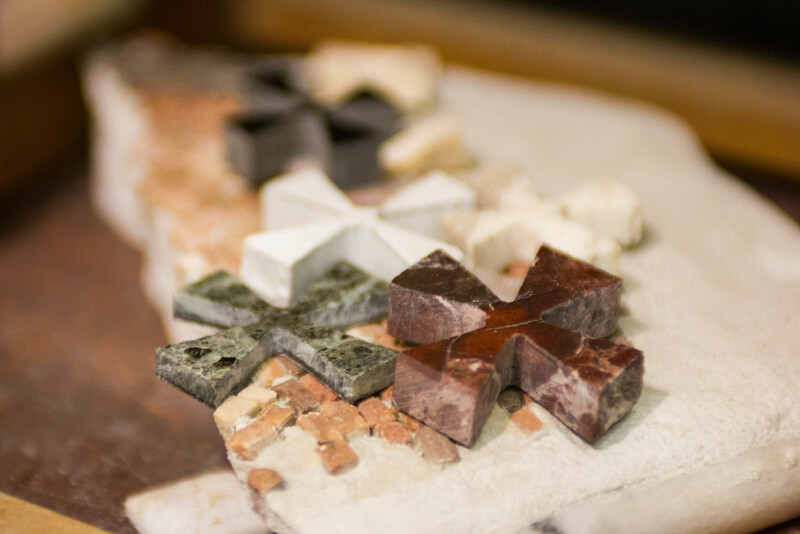 He also finds great satisfaction in making mosaic floors and walls, especially when they require the teamwork of his trusted circle of artisan collaborators. 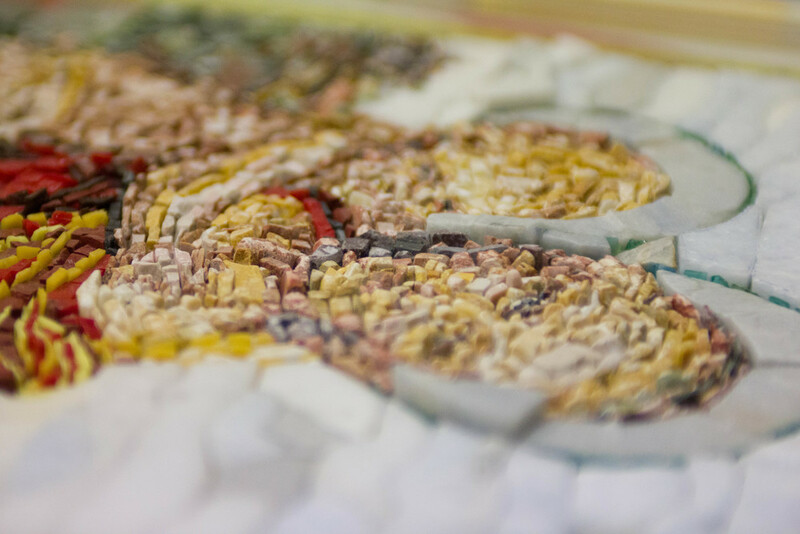 The art of the mosaic lies between painting and sculpture, using small tesserae of marble or enamel to create images that span expansive architectural surfaces and small items of jewelry alike. 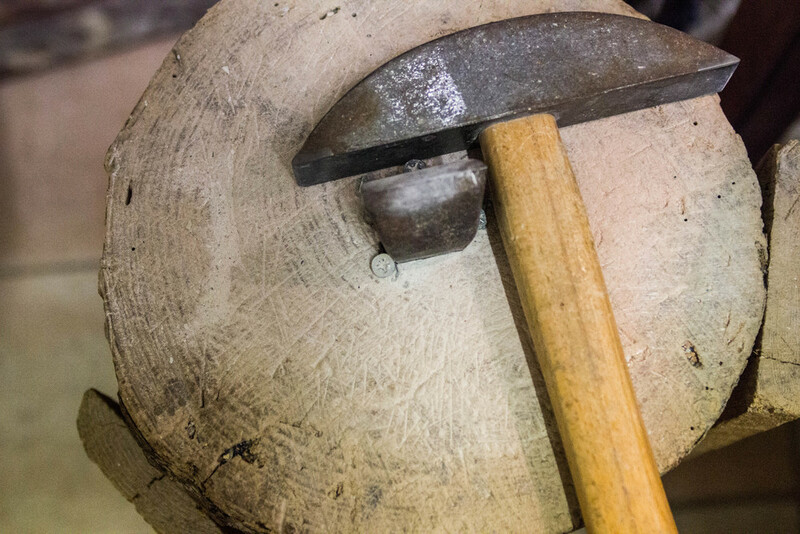 With its ancient history and reputation for longevity, this artisan technique is one of the most timeless. 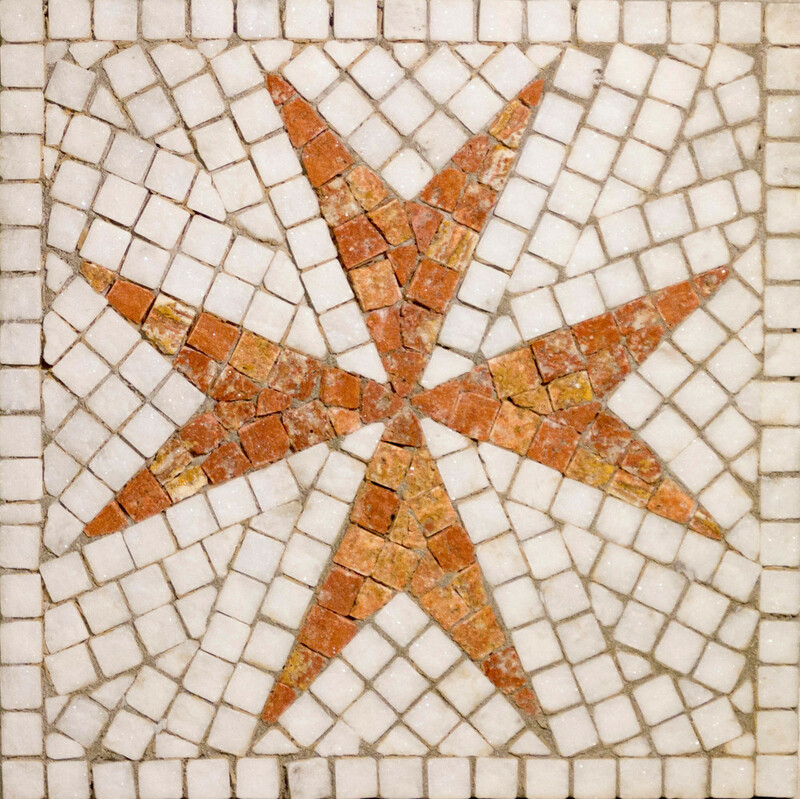 In addition to custom mosaics, in which we assist in the design, logistical planning, shipping, and installation, the following works of art are also available for purchase. For further information and prices, simply contact us and we will be in touch by phone or email at your preference.